Before anything else, I swear that this story really happened instead of something I cooked up to draw a few laughs. However, the story within the story, that one I cannot quite vouch for. Read on and decide for yourselves. The story happened back in schoolyear 1985-86, when I was the Homeroom Adviser of a class of seniors. To ensure order in the homeroom, I made it a point to hang out in the classroom after lunch everyday. 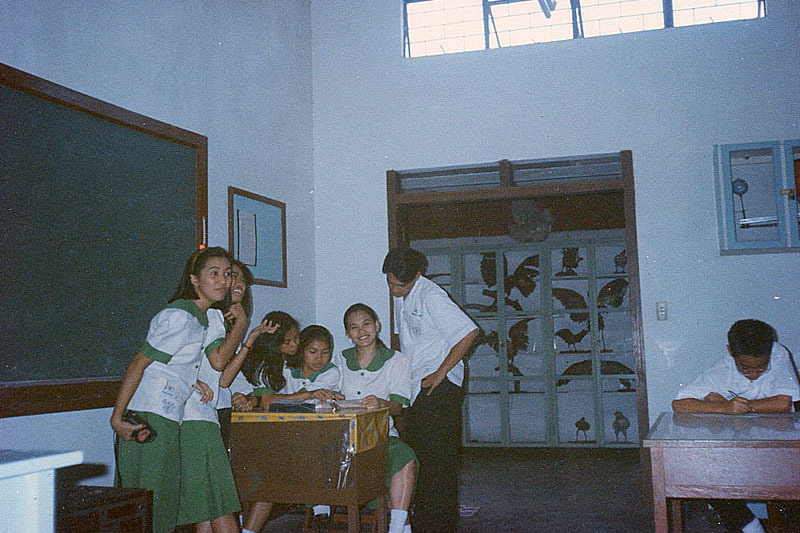 This was when the students finished up on school work needed in the afternoon or, if it was a light day, just spent the time gossiping or having fun. In a class of high school seniors, things could easily get out of hand. That was why I hung out inside the classroom to make sure that nothing ever got out of hand. One lazy noontime, a group of my male students amused each other close to the teacher’s table by trying to recall the most awkward surnames of people that they knew. I had one of my ears cocked to the conversation while I checked quizzes. One boy soon broke off from the group and approached me at the teacher’s table. Mind, this guy is now an executive of a large corporation operating in Hong Kong. “Sir,” he began as I looked up briefly to let him know he had my ears before I went back to checking papers. It took me a moment or two to figure it out; but when I did, I burst out laughing. “French! French!” I bade him. But then again, I told the boy, I was sure the entire story was just a cockamamie tale invented by drunken people.